This scripture verse is one of three (3) passages in the New Testament that have encouraged me to stay the course in spite of everything that's going on around me. 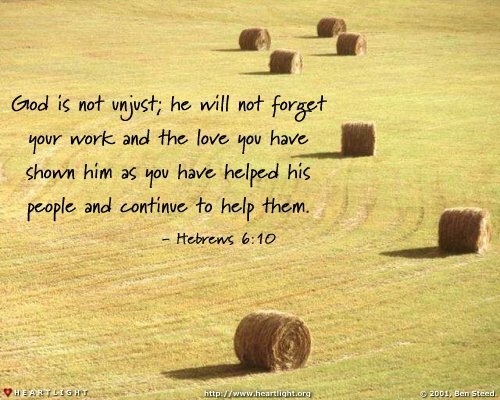 God WILL NOT forget our labor of love, done sacrificially in Jesus' name. Go ahead! Look them up and praise God that He will reward us in His way and in His time.